Father Brown is featured in a series of short stories where he solves mysteries and crimes using his intuition and keen understanding of human nature. The character was loosely based by Chesterton on Father John OConnor (1870–1952), a parish priest in Bradford, who was involved in Chestertons conversion to Catholicism in 1922. 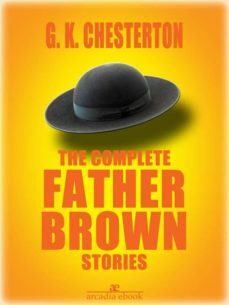 This complete collection contains all the favourite Father Brown stories, showing a quiet wit and compassion that has endeared him to many, whilst solving his mysteries by a mixture of imagination and a sympathetic worldliness in a totally believable manner.